Radiance meets romance for a true reflection of your love. 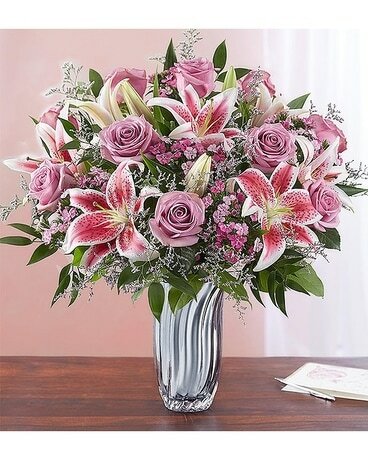 Our hand gathering of lush blooms is designed to delight the one who has caught your eye. Paired with our shimmering Silver Radiance Vase flaunting soft, silvery cascades, this brilliant bouquet goes above and beyond to let your sentiments shine.